After a challenging year of loss and change, 2018 is an opportunity for writing that can’t be missed. Some of my more observant readers will notice that this blog – and indeed all of my online gibbering and twittering – has been somewhat neglected of late. All I can day is “sorry!” In particular I haven’t written anything in months and I feel ever so slightly bad for that. In my defence (or defense if you are from over the Pond) my whole world stopped and got turned upside down in September when my beloved wife passed away after a long and very difficult battle against dementia. It was the single most awful and upsetting thing in my life so far and very nearly destroyed me as I saw a beautiful young woman decay before my eyes. My family had nearly six years to prepare for her death but it still came as a shock. Afterwards it felt like everything had to stop and wait for me as I just needed to circle the wagons and survive every day as I made countless arrangements for her funeral and then had to sort out the legal and financial mess that death leaves in its wake. It was a hugely challenging period of my life and I felt utterly exhausted. Writing was the last thing on my mind and there were even moments when I wondered if my choice of career was the right one. Should I give up on my dream and return to the Rat-Race now? For a while it really was touch and go if I would ever write again. Thankfully things since Christmas have moved on quickly and I am now back in a place mentally where I actually want to write again. I’m also in a new relationship with an amazing woman and life feels like living again. Then last night something hit me like a locomotive with a personal grudge and things took a new twist. After searching in vain for hours for a new job that looked even vaguely interesting I finally gave up my search and went to bed, but try as I might I just couldn’t get to sleep. I knew that it was going to be a long night. Instead of panic in the cold dark of January, my mind was flooded with a scene from a story that I had been working on as a skunk project last year at the same as my sequel to Kingmaker. It wasn’t just flooded with words – it was like my brain was suddenly full of Oxford educated hornets equipped with typewriters and an urgent deadline to keep! In fact it was so strong I couldn’t sleep and I simply HAD to stay up and write it all down, scribbling away fervently at the pad of paper I keep by the bed, until at 2.00 AM I was finally finished and able to sleep at last. Last night was the breakthrough that I had been waiting for and despite my exhaustion I woke up today feeling reborn. And that’s what I wanted to share with you, particularly if you write too. Writing isn’t something that you can bang out like a metronome. It comes from deep within and there are times in your life when the metronome is broken and writing becomes an impossible task. Don’t worry. In time your mind will become clear again and the insatiable desire to write will return again and so will that all-important spark of creativity. So now 2018 is both a challenge and an opportunity to get my second book finished and really push on with my writing again. Whatever happens on the long and winding road of life, just remember that you are never truly alone and the world will be ready and waiting for you when you want to join in again. 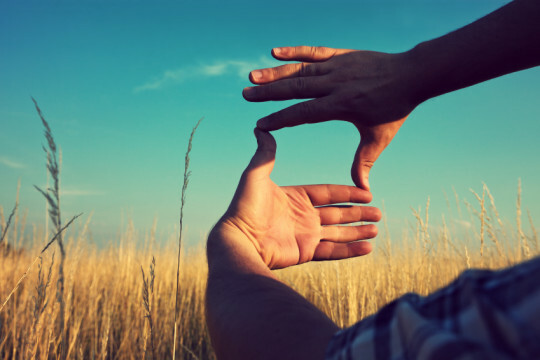 Why authors – and their characters – need to be able to see the world differently. The world is full of conflict and disagreement, because everyone has different opinions. Imagine, if you can, then a story where all the characters agree on everything – would it be a good story? Probably not. Character differentiation is a key part if any story, particularly between the protagonist and the antagonist. Different perspectives – how people view and process what is happening – create conflict, and a story without conflict is going to be pretty dull. So when an author is creating their characters they also have to create conflict by making their various characters behave differently, and this can be achieved by giving them a different perspective (IMPORTANT – perspective is not to be confused with a point-of-view or POV. See NY Book Editors blog). 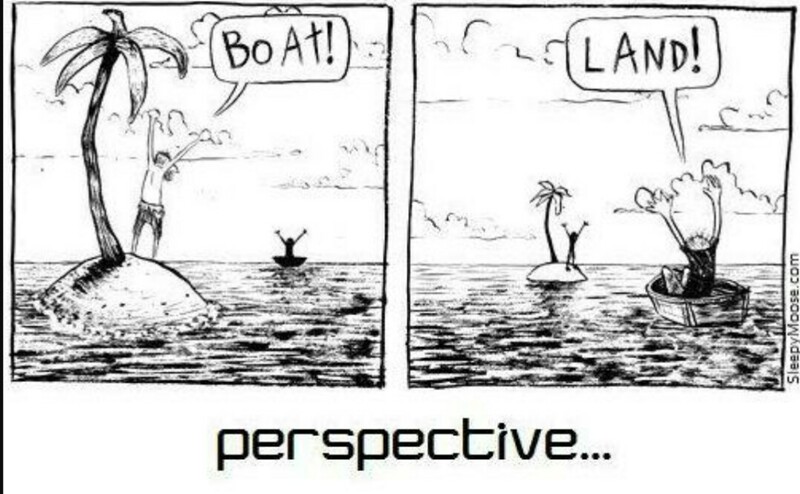 Perspective enables the reader to observe characters and events etc, and we must understand this if we are to understand why the characters act as they do. Different perspectives can be subtle and “local” – for instance, Character A wants children, Character B does not – or they can be far more complicated and global in their reach. A complicated global perspective can be religious or political, or a combination of the two (for example morality versus greed or power). A character who has experienced abuse as a child will have a different perspective on what to do with child abusers than, for example, a human rights advocate. Dan Brown made different religious perspectives a key part of his popular books The Da Vinci Code and Angels and Demons – the extremes of Opus Dei and the Illuminati contrasting with the reader despite being faced with the same situation. Furthermore, Ian Fleming often used alternative perspectives on power, politics and greed/morality in his James Bond books – Auric Goldfinger’s different perspective on gold (and what possession of it allows a person to do) is the key area for conflict against Bond and MI6. Perspectives create conflict and conflict (for the author and reader) is good. Perspectives also give us a way of getting inside the character’s head and understanding their motivation to act. The child of a soldier will probably have a different perspective on defence and national security to the child of a school teacher (but not necessarily as you might expect – an unexpected perspective can be formed by a bad experience, for example if the child thinks the parent is weak or wrong and they rebel against them). Perspective also impacts on the author in the real world. In the modern world authors cannot exist in a vacuum – they have to participate in the newly polarised social media as well as bear witness to it. Although publicly supporting one political party or religion will attract certain followers, it also endangers alienating any potential reader who does not share the same opinion. My advice is for authors to try to remain independent where possible – the reader won’t care how you voted if you can tell a good story. An author must also try to understand all perspectives of a news story and be able to act accordingly, without accepting wholesale the opinion of one newspaper or news channel. As a writer myself – and a Politics graduate with a strong interest in history – I don’t think that I can ever share the shame opinions of my friends because a) my experience is different to theirs, and b) it is my duty to see and show both sides of an argument, no matter how distasteful – I can therefore leave it to the reader to decide which perspective they agree with. Furthermore, I believe that this independence of perspective – and the resulting duty of authors to use multiple perspectives in their work to create conflict – also results in authors having a significant responsibility to show alternative viewpoints fairly or else be accused of partisanship. Opinion is a dangerous two-edged sword. Don’t let it cut your fingers. The key thing for all authors and readers to remember is that everyone is different – we are all shaped by our own different experiences and so it is highly unlikely for people to share perspectives or opinions on all subjects – there will always be disagreement. Books can allow all readers to experience and understand alternative perspectives and the reasons behind them. Different perspectives feed the author’s imagination, and they in turn can influence perspectives through their readers. I just hope that authors can use their power wisely and try to avoid fanning the flames of argument and discord that the modern world of social media seems currently obsessed with. However I suspect that many are just rubbing their hands at the prospect of new story lines! Happy reading and good luck to all the writers out there. What do you think? Are different perspectives and opinions important? Do authors hold the power to influence opinion? Should authors be overtly political? Let us know in the comments box below. Beginnings are important in any story, least of all the story of a writer’s journey. Ask any writer exactly why they started writing, and they will invariably answer that it all began because of their love of reading. There are few pastimes which have such an effect over a person’s life and form such significant influences on their young psyche. Above all, books create emotional and behavioural changes that resonate through an author’s own work, whether intended or not. Yes, of course there are some authors who have taken writing to a new level of commercial professionality (such as J.K.Rowling) and others who churn out numerous new titles per year (James Patterson instantly springs to mind here), but even so most writers make the step into writing because for them there is a primeval urge to interact with the world through the medium of the printed world, and money is not their main driver. At the opposite end to Rowling and Patterson are the “one book wonders” – the most praiseworthy of all writers who give it a go to write one book – probably their only book – in order to scratch their creative itch and fulfil a lifelong dream that began as a child. In between these two extremes lie the rest of the writers, the impoverished dreamers who studiously attempt to grind out a meagre living from the love of their art, often at a level far below even the lowest wages or government benefits. They write because of their love of writing, and this love was created from their love of reading. For all writers, rich or poor, prolific commercial success or “one book wonder” it is also equally true that either consciously or unconsciously, the books that they read for enjoyment can and will influence their own writing through style, prose, structure, characterisation, plot, theme, era, location and so on, and all have a unique impact on the type of author that we become and on the stories that we tell. We all have favourite books in our lives, those rare treasures that we always carry with us – both literally and metaphorically -through life. Writers are created by other writers. The key is, I believe, in starting early. A young reader may become an older writer, and reading is for life. There are many children’s books that have inspired me over the years, both as a child and as a parent, ensuring that both of my children were raised to love and respect books and the magic within them. 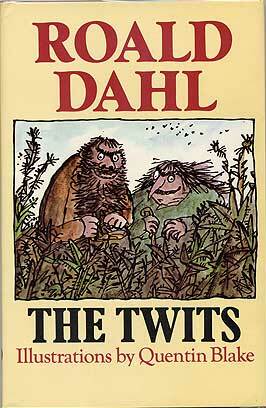 My greatest loves of children’s literature include Roald Dahl’s The Twits, Julia Donaldson’s The Gruffalo, and How The Grinch Stole Christmas by Dr Seuss. What unites these stories – often imperfect and somewhat naive – is that they retained their magic long after they ceased to be appropriate for their reader, and so instead of being sent for charitable recycling they have been safely put into storage for future generations. I cannot bear to get rid of books, and there are many still cluttering my overloaded bookshelves that I purchased but I have not read in twenty years or more but I hope to enjoy again one day. My greatest possession remains to this day a much worn, torn and battered copy of The Lord of the Rings by J.R.R.Tolkien that I remember receiving as a child one cold Christmas. Battered and ruined though it may be, it still contains the magic that I first discovered when I first read it, and recently purchased a beautiful illustrated hardback edition to take the toll of my annual self-indulgent re-read. 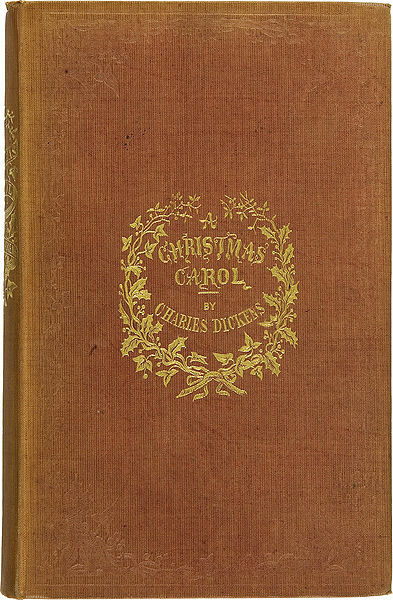 That book, more than any other, takes me back in time to when life was simpler and better. 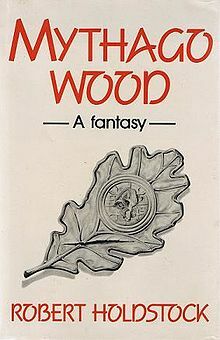 During my teenage years I turned to science fiction and fantasy, dazzled by the gems of Isaac Asimov, Arthur C.Clarke, Ray Bradbury, Robert Silverberg, Harry Harrison, John Wyndham, Douglas Adams, and Robert Holdstock’s magical Mythago Wood – this still holds power over my imagination as perhaps the finest evocation of a mystical woodland ever to grace the page. I must also confess that there are also many books that I have collected over the years that I still have yet to read for the first time, and they too add to the weight of my overflowing book shelves. 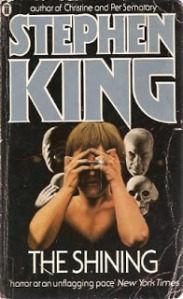 Of the more “grown-up” books that have inspired me I must give thanks to Stephen King (The Shining, IT, Christine), Bernard Cornwell’s, Lee Child, Robert Harris and Dan Brown. I tend to shun the heavy, turgid list of the “classics” as the style has aged to the extent that they often struggle to engage with the modern reader. The notable exceptions to this rule are Charles Dickens (I read A Christmas Carol every year), George Orwell’s 1984, and any Agatha Christie, plus the delicate beauty of Kazuo Ishiguro’s The Remains of the Day. In summary, there are many books that have inspired me as a writer (see the list below this article), and even fewer that I still treasure like a child. Those few writers were as heroic to the younger me as any pop idol, movie star or footballer in my eyes. Although I am still in the early years of my writing career (my first novel, Kingmaker, was published in September), even now I hope one day to write a work worthy of a reader treasuring throughout their lives and might perhaps even give inspiration to their own career as a writer too. Happy writing and joyful reading to you all. My special guest this week is author Suzy Henderson. Over to you, Suzy! Thank you so much for hosting me here today, Adrian. It’s a pleasure and I decided to talk a little about the idea behind my debut novel, The Beauty Shop. About six years ago, I stumbled across the story of the Guinea Pig Club, and in that moment of discovery, I knew I had to write about it. People might wonder why it’s so remarkable, after all, they were burned airmen who required medical care. But the hidden beauty is that they were far more than that to one man, a maverick plastic surgeon who cared for them all. It truly is an extraordinary tale and it is one that touches on themes such as beauty, identity and self-worth. Archibald McIndoe was a New Zealander, and when he first arrived in England, British surgeons treated him as a colonial, something which irked him. Later, he would encounter disabled and disfigured Great War veterans begging in London or selling matchsticks or other wares just to get by. It was another shocking experience that stayed with him. So, after he was appointed to run the burns unit at East Grinstead at the beginning of the war, he already had plans and ideas in mind. Once the first casualties began to arrive, he was shocked at the extent of the injuries; injuries that had never been seen before – but this was the war in the air, far more advanced warfare than had been seen during the last war. Young men, who just the day before had been glorious, handsome fly boys were burned beyond recognition, and some were suicidal. Fortunately, Archie had an agenda. He was determined these lads would not become social outcasts, and that they would live a whole life, have employment and the chance of marriage and children. For Archie, it was a challenge, and he was a man who rose up and thrived from a challenge. His craft, which he had learned from his cousin, Sir Harold Delf Gillies, a plastic surgeon who had worked on the shattered faces of Great War veterans, was to be challenged tremendously and Archie became a leading innovator and pioneer in burns treatment. One fine July day in 1941, a few of the lads from the ward decided to form a drinking club. They gave it a name and that was that. The treasurer was picked because he had his legs in plaster and therefore wouldn’t be able to run off with any funds. The secretary was nominated because his hands were badly burned and bandaged, so he was unable to take any notes. Even in such adverse circumstances, their spirit and humour shone through. Archie had his own ethos of care and that involved treating ‘his boys’ as he called them, normally. They weren’t sick, and many of them had to endure multiple operations, becoming bored and frustrated while waiting between surgeries. Aware of this, Archie would arrange trips to the theatre in London, and he also encouraged them to go into the town of East Grinstead. Nurses were asked to be chaperones, and later, Archie recruited chorus girls from London’s West End to volunteer for duty on his ward, and the lads enjoyed being seen out on the arm of a pretty girl. A few of the men married nurses from the ward. There was always a keg of beer on the ward and drinking, smoking, music and dancing was allowed all day long. Archie would give talks whenever possible to the locals, informing them of his work at the hospital and educating them about burns treatment and the psychological implications. He often said, “Look them in the eye,” and the locals quite literally took Archie’s boys under their wing. They were very protective of them. Many would invite the lads back for tea, and some would hold house parties and dances. If you were lucky enough to be one of Archie’s guinea pigs, then your social calendar was quite a busy one. Resources for hospital care have always been tight but back in WW2, if Archie needed anything, he’d use his contacts and demand if necessary. He had his ways of extracting what he needed and asked many favours. Archie took the doctor-patient relationship in a whole new direction and considered the social and psychological problems these men endured. He would often ask friends and contacts about jobs for his boys. Quite simply, whatever they needed, Archie seemed to have a means of obtaining it or a solution. Have you ever heard of a doctor like him before? He joined the lads at the pub, drank with them, laughed with them, no doubt he even felt their pain. He was rather more than a surgeon; he was a philanthropist until his early death in 1960. The club continues to this day, and of the original 649 members, 17 remain. The organization has served many of them and has helped those who needed it with things such as adaptations to their homes, buying suitable housing and establishing businesses. There is no club like it in the world, and I doubt there ever will be again. The price they paid to join was incredibly high, a price none of us would wish to pay. Based on a true story, “The Beauty Shop” is a moving tale of love, compassion, and determination against a backdrop of wartime tragedy. Suzy Henderson was born in the North of England, but a career in healthcare would eventually take her to rural Somerset. Years later, she decided to embark upon a degree in English Literature with The Open University. It was an old black and white photograph of her grandmother that caught Suzy’s imagination many years ago. Her grandmother died in 1980 as did her tales of war as she never spoke of those times. When she decided to research her grandmother’s war service in the WAAF, things spiralled from there. Stories came to light, little-known stories and tragedies and it is such discoveries that inform her writing. Having relocated to the wilds of North Cumbria, she has the Pennines in sight and finally feels at home. Suzy is a member of the Historical Novel Society and the Romantic Novelists Association. “The Beauty Shop” is her debut novel and will be released 28th November 2016. Thank you Suzy for your fascinating story – good luck with The Beauty Shop. BLOG: Will Self-Publishing Eat Itself? With Amazon now trialing proper “bricks and mortar” bookstores, what does the future hold for book-sales and publishing? “Everyone has a book inside them,” or so the saying goes. The explosion of self-publishing has left shock-waves that are still reverberating throughout the publishing industry and will continue to do so for many years to come. Ask any aspiring author nowadays and very few will have had any luck going the “traditional” route of getting a publishing agent and a publishing contract. We’ve all been there – you do your research and send your manuscript off to a carefully selected agent, making sure to have a perfectly polished elevator pitch and cover letter. Your expectations are high – “wait until they see what I’ve written!” you gleefully mew to yourself as you press send. And then you wait. After a few weeks all you have got are a few stock refusal letters, explaining that your book “isn’t what we are looking for at the moment” and that “self-publishing has had a significant impact on the publishing industry and we re only looking to take on a handful of new clients.” Basically, you are screwed. Your dreams of entering the best sellers list start to fade away and you contemplate spending the rest of your life doing a job that you don’t care about as long as it keeps paying you. Welcome to publishing in the 21st Century. The only way to keep that precious dream of immortality and creative freedom alive is to bite the bullet and enter the confusing, mind-befuddling, frustrating and utterly bewildering world of self-publishing. Now there are many experienced writers who have written about this phenomenon at length and so I am not going to add any more advice to this already saturated market. I merely want to question what the long-term implication of this has for the wannabe author. First of all, it means that you are now a very small fish in a very big ocean. In order to build any form of customer base you are going to have to be utterly professional and work very, VERY hard. Even then, the harsh reality is that you will probably sell very few books. A modern self-published author has to think of themselves not only as a professional business, but also as a factory. Having just one product won’t cut the mustard. You need lots of products and you need to get them out there! The key to success in the new age of indiepub is VOLUME. Sadly, there are only so many hours in the day. This means that every minute of work time is precious. Not only do you have to find time to write, you also have to run your business, promote your books, create and design covers, format manuscripts, get them edited and set up on KDP, Smashwords or Createspace etc, etc, etc. Yet despite this gargantuan effort, ebook prices seem set to remain in the bargain basement (let’s face it, Amazon won’t do anything to try to increase it whilst they dominate the market). The only sensible solution to this law of diminishing returns is to write lots of very short books. The day of the epic 150,000 word masterpiece is over. So my second prediction is that we are about to see the second coming of the penny novel. Back in the thirties Agatha Christie made a killing catering to the independent traveller in need of a light read, and even throughout the nineteen-eighties many popular novels were still barely 230 pages long. Epic 500 page+ thrillers came to dominate the market early this century but the dash towards ebooks has also had a significant change in reader’s attention spans. Many people no longer sink themselves into a text and skim-read it like a news story on a website. Shorter books is the way to go, but to do that authors will have to tighten up their writing and get to the truth of their writing a LOT faster. The other reality is that the world is saturated by second-hand books.You can’t go anywhere nowadays without finding a fantastic read for a few £pounds, or even less if it is “pre-owned.” So why bother buying new? There are many used bookshops within an easy drive of my home that are positively dripping with more wonderful books than I will ever read – in fact I have purchased so many amazing second-hand books this year that I suspect that I will never read all of them if I never buy another book for the rest of my life. We don’t NEED to buy your amazing new book, so the author’s job is to make us WANT it more than any other book. The author’s job just got a lot, LOT harder. With this massive demand for increased workload and output as well as the need to market, promote and network in a global marketplace for little chance of reward there can be only one inevitable outcome. I’m going to be one of the first to put it out there but it is possible that the bubble has already burst.. Self-publishing will eat itself (like Pop music) and only the very strongest predators stand a chance in the parched savannah of indiepub. The impact of this tsunami will be felt across all parts of the marketplace, not just the writers. Amazon’s Kindle and Kobo are the two strongest e-reader systems (not forgetting ereader apps on tablets and telephones) so I expect many of the smaller suppliers of hardware (and software) to fall by the wayside in the next few years, much like the mobile telephone industry has seen Blackberry and Nokia disappear. Will Apple and Google see the returns on investment from ebooks that their business models demand? Whatever happens, there will be less routes into self-publishing and the market will contract further, losing suppliers, designers, printers (and possibly even some reviewers) along the way. This also means that the winners will get stronger, increasing their leverage and strengthening their position. Recent figures have also shown that the printed book is far from deceased, and even I have experienced reasonably young friends refusing to buy the ebook of my new thriller this week as they want to buy the paperback instead. This is totally understandable as even with new technology the sensory delight of reading a “real” book has not been replicated by any e-reader. Printed books will continue to be popular, but quality will reign as they are seen as expensive luxury goods rather than disposable stories. Amazon is perhaps wise to expand into the bricks and mortar of real bookstores, as like with any luxury good, customers will increasingly want to touch and feel a book before they part with their money. If you have seen the superb Tom Hanks and Meg Ryan romcom “You’ve Got Mail”.you will know how the huge leviathans will gobble up the small independent stores due to their greater buying power (and ability to discount) and in England there are very few independent bookstores now other than in tourist spots and rural communities. The only way the independent bookstore will be able to survive against the continued onslaught of Amazon and friends is to diversify – a bookstore con no longer just be a book store. The successful indie stores are also coffee shops, restaurants, second hand stores, movie and collectible stores, and if the indiepub author is to be able to take up any of their valuable shelf space they will have to offer a quality product able to compete with a traditionally printed book. Amateurism (and DIY covers) will not be tolerated. So, in summary, there is still a long road ahead for indie publishing and the book industry as a whole. Only the strongest will survive, and for many wannabe authors they may have to content themselves with writing for pleasure rather than profit and not give up the day job. 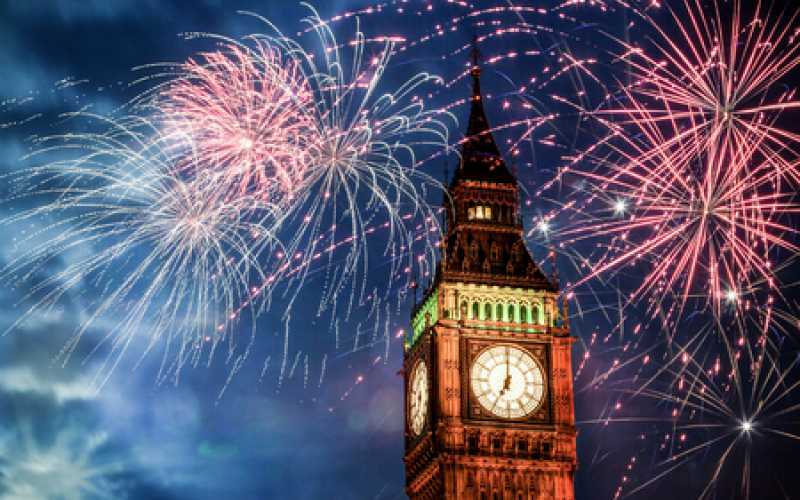 BLOG: Adventures in Self-publishing Part 3 – now it gets really scary! 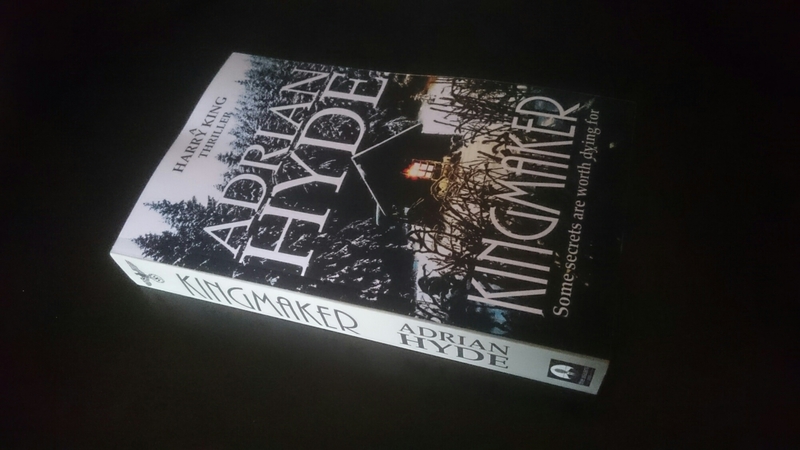 With this week’s publication of my novel Kingmaker I decided to investigate the opportunities and risks for the modern indie author. First of all, ​ignore the recent headlines of writers making a fortune as a self-published author. Ha! £2000 a day? Writers on average make less than £10,000 a YEAR! Writing is not a route to making a fortune, unless you are lucky enough to become one of the very elite like J.K. Rowling or Dan Brown. The painful reality is that you won’t make a fortune by getting a £multi-million contract from a big publisher. You’ll scrape a living, but you’ll do it because being a writer is part of your soul. So do not let me put you off. The reality is that writers don’t write for the money (but it is always welcome! ), and let’s face it, most writers will not make anything close to the minimum wage (and neither will they get a nice big pension). No, the reality is that we write simply because there is no other way to exist. To not write is like stopping breathing. Not writing is that itch that cannot be scratched, like a secret that we cannot hold inside us. Not writing is the excruciating death of our very soul. Writing IS life itself. It isn’t actually as risky as it sounds – the massive growth of indie publishing (driven mainly by Amazon’s Kindle Direct Publishing but now a massive global industry in itself) has so shaken the world of traditional publishing that an author no longer has to run the gauntlet of probable rejection by agents and the Big 5 publishing houses. The world has become a global marketplace, hungry for fresh ideas and perspectives. There are billions of potential customers out there, able to buy online 24/7, 365 days a year. So the reality is that writing is no more a risk than any other self-employment. To be successful is just like any other industry / career: success comes from a mixture of talent, hard work and luck. I hope I am blessed with some of this in the years ahead! If you are also thinking of writing, don’t be afraid and DO NOT allow anyone to scare you by telling you that you can’t succeed. All it takes is a commitment to your task and an original idea. I’m on it for the long-haul. Sounds easy, doesn’t it? Can I have my medal now please? This week’s blog post is all about how you shouldn’t be afraid of doing it yourself. Yes, I finally got there and it was surprisingly easy! I had a few minor issues stripping the code out of my Word file saved as HTML but after a few attempts (and a few more Google searches for the excellent help out there) I finally got an ebook interior that looks like it was done by a big publisher. It only goes to prove that you can create a professional product using simple software if you pay attention to detail and try to emulate the best of the best! ADRIAN’S TOP TIP: compare your formatted file with the Kindle file of your favourite authors – Does their one look better? Why? Keep redoing it until you are happy! I used Robert Holdstock’s Lavondyss (Kindle ebook), Bernard Cornwell’s Warriors of the Storm (Kindle) and my collection of Lee Child’s Jack Reacher books as an example of best practice. Also, although you can upload your Createspace file onto KDP as part if the Createspace process, don’t – you need a separate version for KDP because you need a table if contents. I know, I could have left this off and saved a few £££ but I wanted Three Assassins Press to offer a quality product and to be MEASURABLE so I bought 10 numbers from Nielsen, the UK ISBN allocator. I tried to register my Kindle mobile file the way I had read but they don’t do that anymore so I then had to register for an online password and wait a few days before I could use their Title Editor. After a few goes I have found this is a lot easier and faster to use so it was worth the wait. ADRIAN’S TOP TIP: Buy an ISBN, DON’T use a free one (or ignore it). Having an ISBN proves you are serious about your business (and you are, aren’t you?). I haven’t yet properly investigated the ordering system that Nielsen offers to the trade but it does seem to enable booksellers to place their orders with me as a professional publishing imprint. Fantastic! This was a difficult choice. If you really want to cover online retailers other than Amazon then you need to consider using Smashwords as the easiest way to get in with the competition (especially as now even Sainsbury’s are using Kobo). However, the more I looked into it at the time it seemed a lot of work for little reward so I decided to sign up to Kindle Select for three months, accept that the book can only be sold on Amazon for that period, but enrol on Smashwords when the time is right and I have got the Amazon version selling. The added benefits of Kindle Select should hopefully outweigh the benefit of Smashwords (I expect Amazon to be my biggest retailer anyway, especially in my key UK market). ADRIAN’S TOP TIP: Balance your workload and prioritise sales channels and actions – the aim is to get published and start selling, and you only have one pair of hands! Use Amazon as best you can then add Smashwords when you have the time. For a long time I wasn’t sure about whether I should do a paper version of my book as well as an ebook – I have seen other writers say how the extra effort doesn’t give high enough sales volumes (1 in 100 sales is a figure often used). However, I found the Kindle process so easy I thought I would give it a shot as I wanted to feel like a had really “done it” (I know, it almost seems like a vanity process, but I wanted something tangible for all my hard work, something in my hand to make all this effort worthwhile). Call it vanity, but I decided to go for it anyway, and I’m glad I did. So, formatting the interior was really easy, I just downloaded the 5″ x 8″ Word. doc template from Createspace, copied and pasted then did some tweaking. I had to reduce the font size to 10pt in order to make the page count financially viable but it seems to work and looks great. ADRIAN’S TOP TIP: Don’t trust Createspace when they say they have fixed a problem with your file – check it and see what has changed. I had several attempts before I found a way to stop them deleting key elements! The cover was a little harder – I had used Adobe InDesign a lot and done desktop publishing when I worked in marketing so I was eager to see if I could do it myself (I am quite artistic too). I had created the original KDP version using Scribus but Createspace found some preflight problems when I tried to upload it so I had to redo it from scratch. All in all it took me 3 days to do everything myself, and only using free software. The biggest challenge was finding a suitable image – in the end I used Shutterstock (for my imprint logo and a WW2 Nazi eagle I use on the paperback cover – it cost about £30 for 5 images including vectors) and Pexels (for the main cover photo – totally free!). After a few attempts everything passed with Createspace and I mopped up some formatting issues I had missed so now I’m now just waiting for a proof hardcopy from Createspace. ADRIAN’S TOP TIP: Don’t be afraid of doing it yourself. Some “professionals” actually aren’t very good in my opinion, and that includes full-service companies so if you have an artistic eye and the patience to learn, why not give it a try? If you don’t like it after that, then you can still try a professional. I learned so much this time and now I have the templates set up so it will be a lot faster next time.Don’t use the online Createspace cover designer facility as the templates scream “amateur” in my humble opinion. However, DO invest in a professional cover image (tweak it with Gimp or Photoshop) as a strong visual (and good font choice) is key to attracting customers. 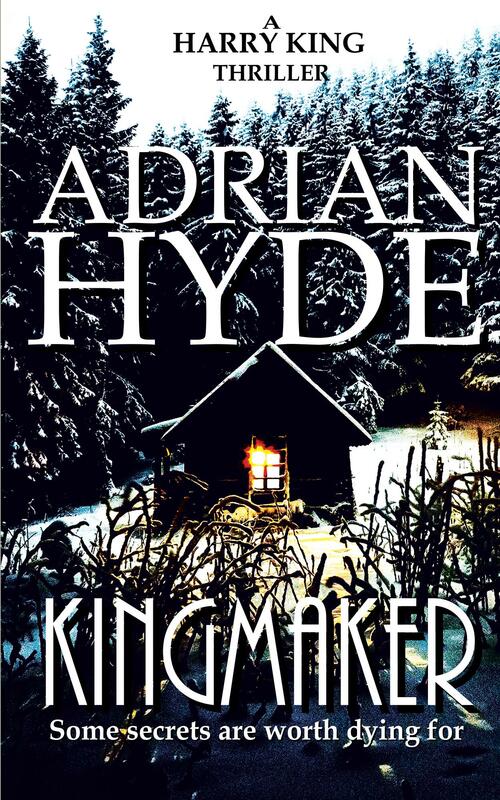 Hopefully by the time I write again, Kingmaker should be out there! To your success and happiness.